Landlord Gary is a big fan of sidecar racing. 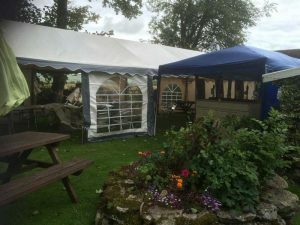 He has followed them since his Dads grass track racing days locally at events such as Longnor Races and further afield at the TT on the Isle of Man for many years. More recently he has become involved with Andy Winkle and Conrad Harrison and can been seen at many race events helping out in the Paddock. 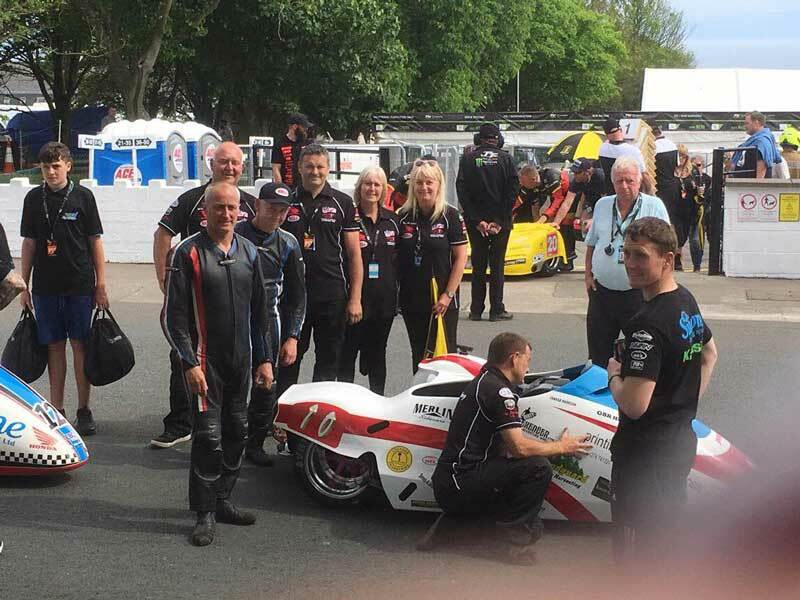 We now sponsor their team shirts and our logo can be seen alongside their other sponsors – The Duke of York Pomeroy is also displayed on the sidecar itself. 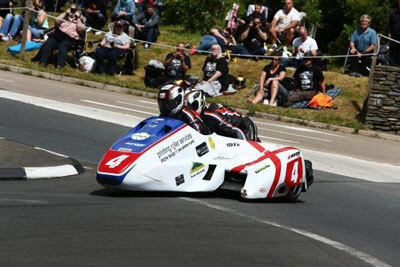 The first photo is the sidecar “outfit” and riders – driver Conrad and passenger Andy. The second is of the team and helpers at a recent event sporting their new teamwear – photo bombed by Dean Harrison – Conrad’s son !